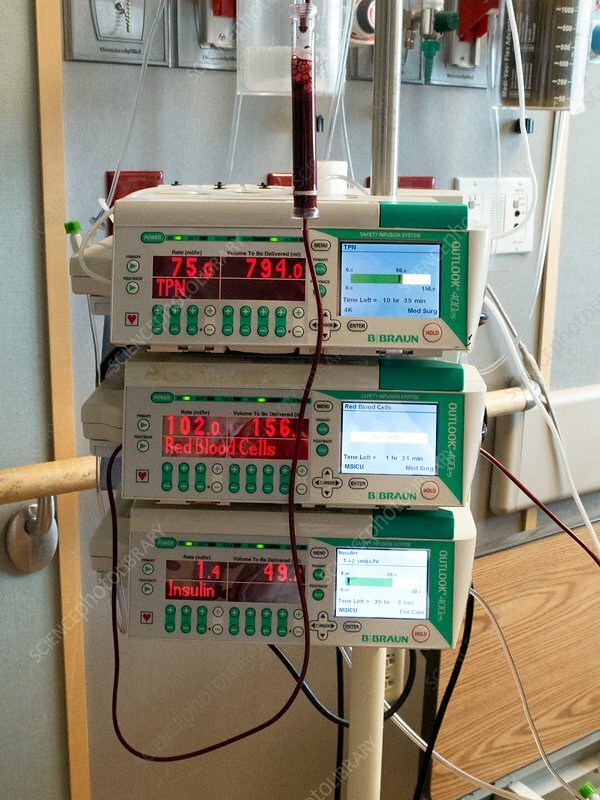 Blood infusion pumps in use in a hospital. The pumps are for different aspects of blood in a diabetic patient. From top, they are for: total parenteral nutrition (TPN), blood transfusion (packed red blood cells), and insulin for glucose control. Total parenteral nutrition refers to providing a patient with nutrition intravenously, with 'total' used when no other significant form of nutrition is available. Insulin is used to control blood sugar levels in diabetic patients.